The students have to give an advice accordint to the problem. They have to use should or shouldn´t. 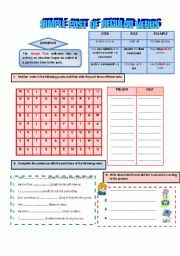 This is a worksheet about the interrogative form of the verb to be. Ss have to do different kind of exercises. the students have to match, do a crossword and unscramble jobs. 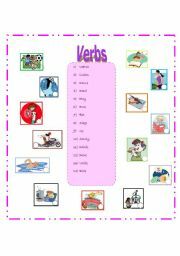 Simple Past. 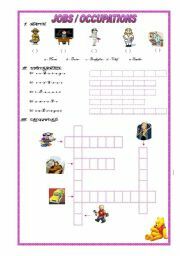 In this worksheet there are different kinds of exercises. 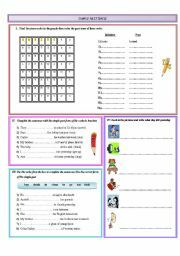 This worksheet is about simple past tense (regular and irregular verbs). 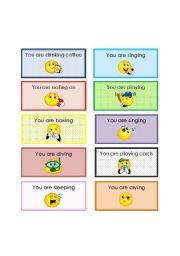 Students have to write sentences according to the pictures. 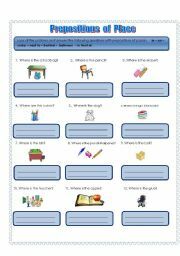 They have to use prepositions of place. 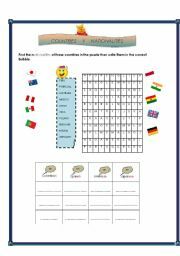 This worksheet is about countries and nationalities. The ss have to find nationalities in a puzzle and do another kind of exercise. I hope u like it. 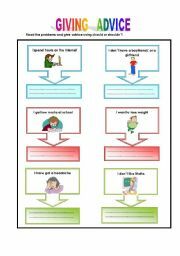 Students have to match the verbs with the pictures.